Following an embarrassing 21-point loss in Game 4, the Cleveland Cavaliers had to have known just how crucial Sunday night’s contest at Oracle Arena would be. Not only was the series all square at two games a piece, but the Warriors had the momentum on their side and had stolen back the all-important home-court advantage. The Cavs needed to answer the bell. Unfortunately for them, while this contest was closer than the one before, the result was still the same. Despite the back-and-forth contest, the Warriors came out on top by a score of 104-91. Stephen Curry finally showcased his MVP-caliber stuff, dropping 37 points on 13 of 23 field and connecting on seven triples. Golden State won on the glass, spaced the floor, and proved to be more equipped to handle the small-ball matchup. Cleveland kept things close, but couldn’t limit the Dubs’ second-chance opportunities. And if you’re fortunate enough to stop the NBA’s best offensive team on the first attempt, the last thing you want to do is give them another shot to drop buckets. Which is exactly what they did. Again and again. LeBron James had another epic performance. 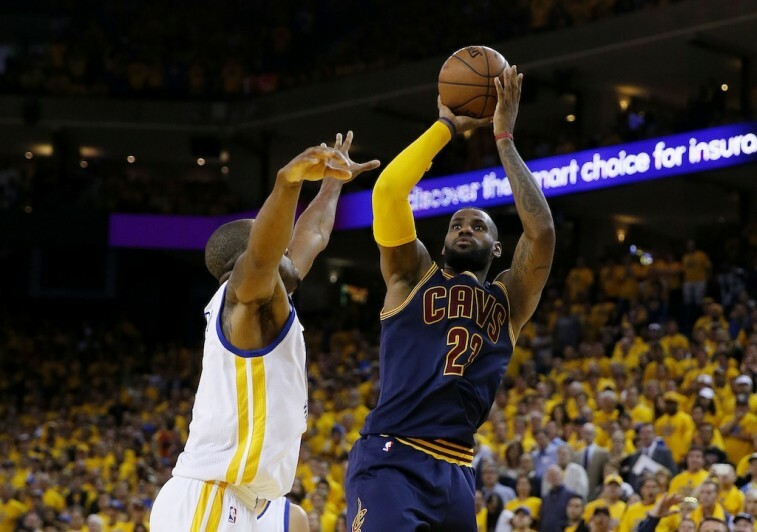 His 40 points, 14 rebounds, and 11 assists gave him his second triple-double of these NBA Finals, and marked the first time since Jerry West — in 1969 — that a player recorded a 40-point triple-double in the last round. In the end, it didn’t matter. As the series shifts back to Cleveland for Game 6, the Warriors hold a 3-2 lead and the Cavs are on the brink of elimination. Yet, this deficit doesn’t seem to faze the King. In fact, he feels good about his team’s chances. “I feel confident because I’m the best player in the world,” James said after the game. “It’s that simple.” It certainly is that simple. When you have a guy like James on your team, you can’t help but like your odds. But while he won’t admit it, there’s another reason why Cleveland should feel relaxed about Tuesday’s Game 6: They have nothing left to lose. We’re not here to try and diminish the task at hand. We can only imagine how difficult it is to win an NBA title. But given the injuries, adversity, and limitations, the fact that this series remains this close, is nothing short of a miracle. It’s gotten to the point that, for the Cavs’ sake, you hold your breath every time James is forced to come out of the game to take a rest. Without him on the floor, you don’t know if Golden State is about to go on an insurmountable run or if Cleveland is even capable of putting the ball in the basket. 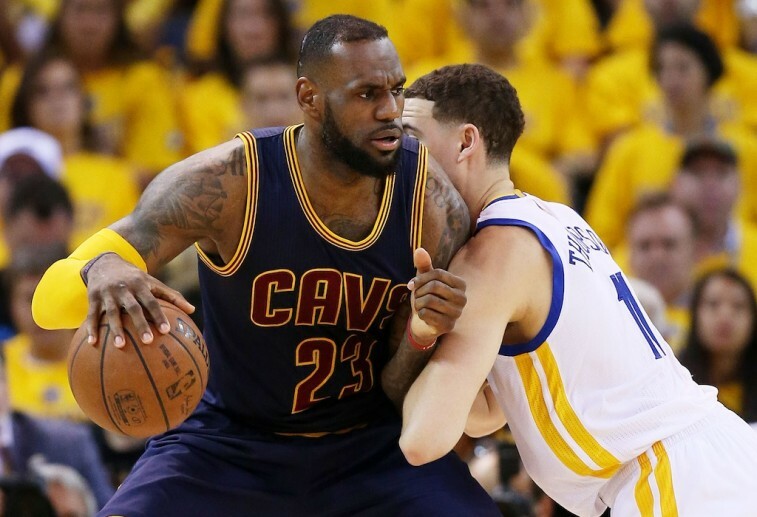 In Game 5, James was responsible for 70 of the 91 Cavs points via scoring and assists. And it wasn’t enough. Which really is the point. James is the best player on the planet, playing at an unrivaled level. He’s doing things that we didn’t believe was humanly possible and the Warriors are still coming out on top. Of course, that still hasn’t diminished ‘Bron’s confidence. We actually believe he’s feeling more confident than ever before. The King has shown himself to be the most talented player on the floor, but Golden State has more talent overall. Nine out of ten times that should be enough to take the series. With James leading the way, this Cleveland team may prove to be the exception. Being down three games to two is nothing new to the Chosen One. He faced these odds before, in 2013, and wound up leading the Heat to their second straight title. “But that Miami team was better,” you may be thinking. No doubt, yet James is more confident in his overall game today than he was back then. And if the Cavs players can just pick up on that, there’s no reason to believe this series won’t go the distance. 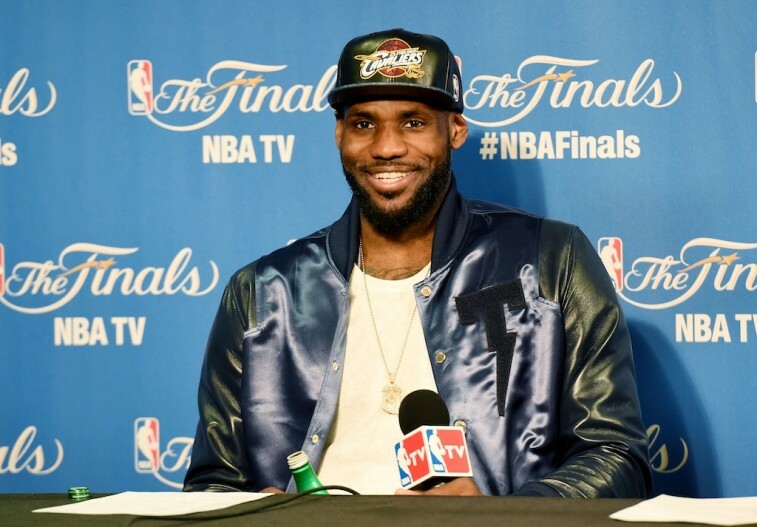 The odds of winning these 2015 NBA Finals, were never in Cleveland’s favor. Even when you have the game’s most talented player, it’s an uphill climb to defeat the league’s most talented team. Early on, the Cavaliers adjusted accordingly, and found themselves with a 2-1 series lead. But two games later, the Warriors are on the cusp of their first NBA championship since 1975. And the reality is, the pressure’s on them. They were expected to be in this position. They were expected to be in this situation sooner than this. But now Golden State has to go on the road and try to close out. That’s never easy. The Cavaliers just simply need to play. Play with confidence. Play loosely. Play without fear. That’s what James is doing. That’s why he’s averaging 36.6 points, 12.4 rebounds, and 8.8 assists per game in these Finals. He knows exactly who he is and he’s just letting it fly. With their backs against the wall, the rest of the Cavaliers can do the same. Cleveland may not win the series. Then again, most didn’t think they would. When you find yourself in that kind of situation, there’s really nothing left to lose. And that’s a powerful feeling.